Paula Rego, The Policeman’s Daughter (1987). Acrylic on paper on canvas, 213.4 x 152.4 cm. Courtesy of Marlborough International Fine Art. © 1987 by Paula Rego. Permission to reprint may be obtained only from the artist. 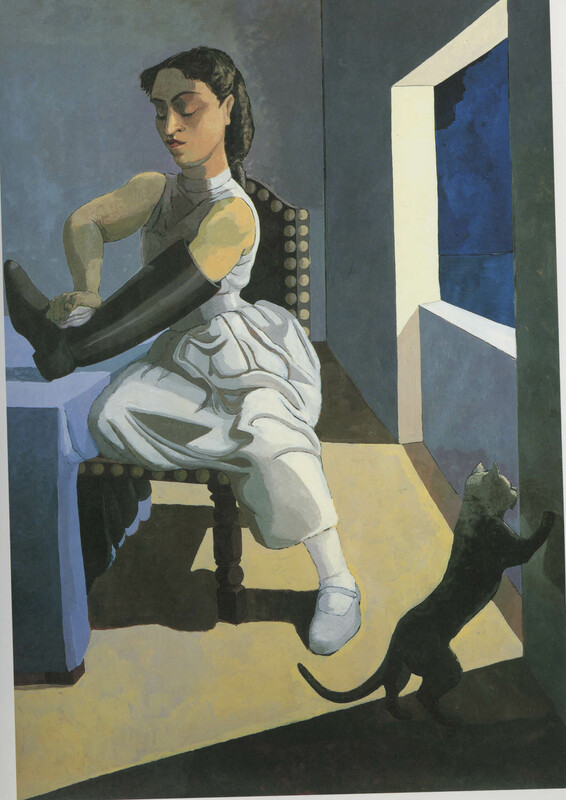 Paula Rego’s The Policeman’s Daughter appeared on the Winter 2012 issue of Signs (volume 37, number 2), the “Unfinished Revolutions” special issue edited by Phillip Rothwell. Born in Lisbon in 1935, Paula Rego studied at the Slade School of Art in the 1950s. In 1976, she moved permanently to England, where she eventually established a reputation as a leading figurative painter. Her work often depicts androgynous, stocky female forms and animals in human roles. In 1989, Rego was shortlisted for the Turner Prize. She holds honorary doctorates from the Universities of Oxford and Lisbon. In 2010, Rego was made a Dame Commander of the Order of the British Empire. Among her works are portraits of Germaine Greer and former Portuguese president Jorge Sampiao, and a hard-hitting series of abortion pastels, reacting to the 1998 referendum that suspended the liberalization of abortion laws in Portugal.